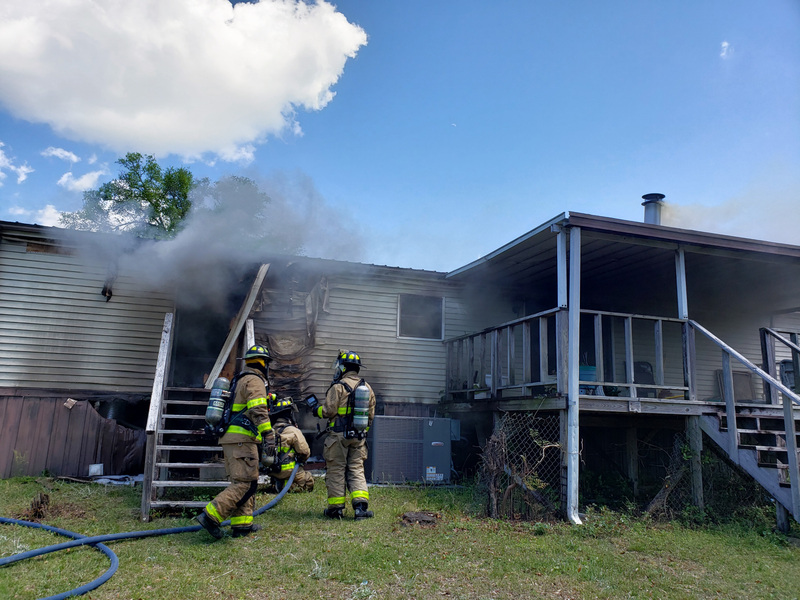 DEFUNIAK SPRINGS, Fla—Firefighters respond to a house fire on Juniper Lake after two fishermen report smoke coming from the nearby home. At 11:47 AM on Wednesday, April 10, 2019, Argyle Volunteer Fire Department, Walton County Fire Rescue, DeFuniak Springs Fire Department, Liberty Volunteer Fire Department, and Walton County Sheriff’s Office deputies responded to a 911 call regarding a possible structure fire at a home on Vanderheide Road in DeFuniak Springs. The caller advised he was out on the lake fishing with a friend when he saw smoke coming from one of the waterfront homes. 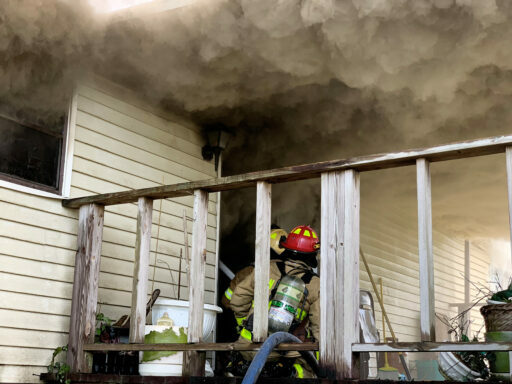 First responders arrived on scene to find heavy smoke coming from the back of the home and quickly jumped into the action. 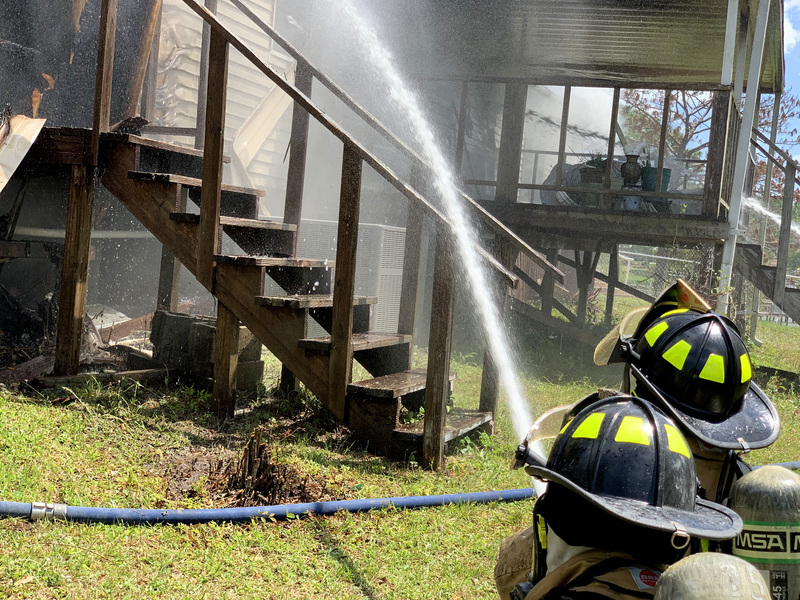 Walton County Fire Rescue, DeFuniak Springs Fire Department, and Liberty Volunteer Fire Department assisted Argyle Volunteer Fire Department in fighting the flames for a little over an hour before the fire was finally extinguished. 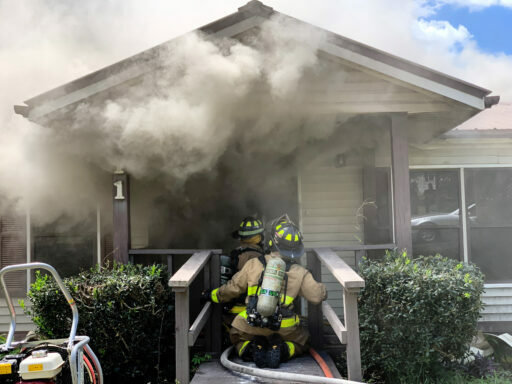 Fortunately, no one was home at the time of the fire. 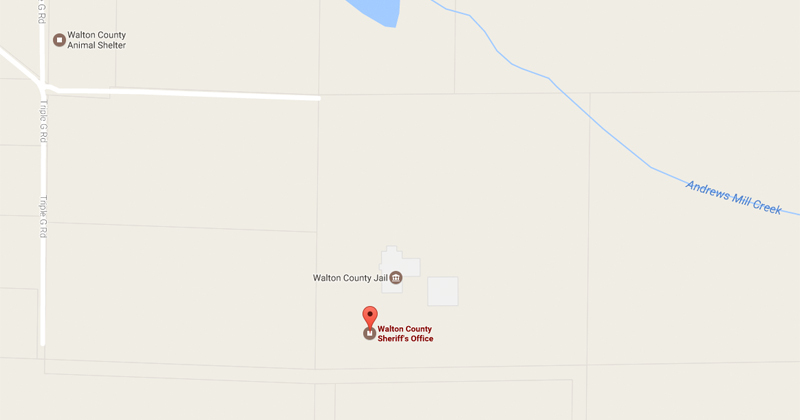 The cause of the fire is still unknown at this time. 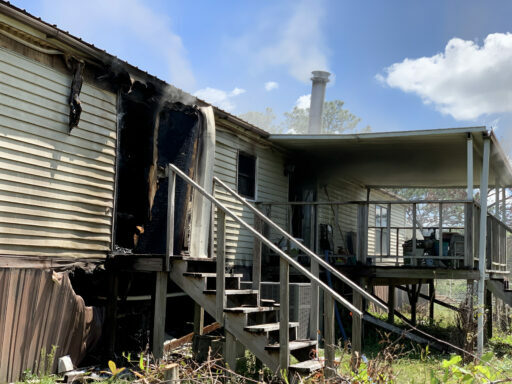 The State Fire Marshal’s Office was contacted to investigate the cause of the fire.